You’ve heard people say that you get what you pay for. To some extent, that’s true. Quality doesn’t come cheap. If you’re buying a car, you won’t get a Lexus for the price of a Chevy Spark. The same is true when you’re building a new home. 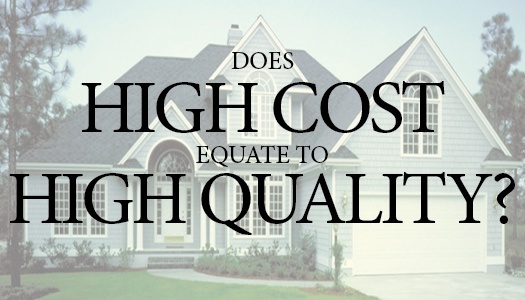 But does paying more guarantee higher quality?